On April 25, we started a series of Chicago’s must-see sights to highlight a few of our favorite attractions and historical landmarks. Chicago is home to many significant historical sites that have created the rich traditions among the city and its people. Attending NECA 2014 Chicago gives attendees the opportunity to see some of the places that make Chicago a city a place to remember. What Chicago skyscraper housed the headquarters of world-wide retailer Sears Roebuck and Company ? 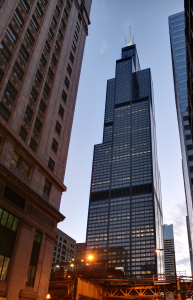 Today’s feature is all about the Willis Tower. In 1969 worlds largest retailer, Sears Roebuck and Company, wanting a more centralized location for their whopping 350,000+ employees, hired Skidmore, Owings, and Merrill to design and build what would become the largest and most recognizable office building in the world, the Sears Tower. Construction of the iconic skyscraper began in 1970, ending 3 years later when the final beam was put in place in 1973. Signed by the 2,000 construction workers and thousands of Sears employees and Chicagoans, 12,000 people autographed the final beam completing the then tallest building in the world. Clocking in at a massive 108-stories or 1,451-feet, construction of the Sears Tower used enough concrete to build an eight-lane, five-mile long highway. In 1988 Sears Roebuck and Company sold its corporate headquarters and in 2009, global insurance broker Willis Group Holdings bought the then Sears Tower renaming it: the Willis Tower. Stepping out on the ledge, In 2009 Willis invested in a multi-million dollar renovation to the Chicago Sky Deck, adding a new innovative feature called The Ledge to the building. 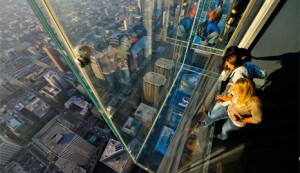 Featuring a series of glass bay windows nested 103 stories high, the Ledge is a popular spot among tourists looking to capture daring selfies and a must-see attraction for 2014 NECA Chicago attendees. On April 25, we started a series of Chicago’s must-see sights to highlight a few of our favorite attractions and historical landmarks. Chicago is home to many significant historical sites that have created the rich traditions among the city and its people. Attending NECA 2014 Chicago will give you the opportunity to see some of the places that make this unique city a place to remember. 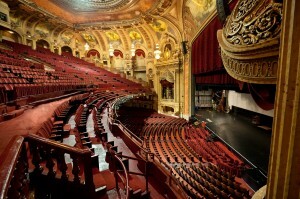 Next up in our Chi-Town cityclusive series of must-see sights, the Chicago Theater. Opening on October 26,1921 national landmark, the Chicago Theater is one of the city’s most popular historical sites, and most recognized. Nicknamed “the Wonder Theater of the World” when it opened, the French Baroque style theater flaunts many decorative features based on popular historical landmarks. The entire building is a work of art featuring a miniature replica of the Paris’ Arc de Triomphe, the lobby that’s modeled after Royal Chapel at Versailles and the grand staircase that leads you to balconies for on-lookers modeled after the Paris Opera House. But, perhaps the most recognized and famous aspect of this building is it’s six-story high sign that spells out “C-H-I-C-A-G-O” over State Street. Built by theater owners Barney and Abe Balaban and Sam and Morris Katz in 1921, it quickly became the flagship of the Balaban and Katz theater chain. Seven stories high and seating 3,600 visitors, when it opened the theater featured big-time entertainment acts from Duke Ellington to Benny Goodman, and in 1933 was featured in Chicago’s World Fair. May years after it’s heyday, in 1986 the Chicago Theatre Restoration Association realized the theater brought irreplaceable historical significance and culture to the city and with the help of the city of Chicago decided to purchase and save the theater and after a multi-million dollar renovation the theater reopened on September 10, 1986, allowing future generations to enjoy this Chicago landmark. Chicago is home to several major attractions that hold significant historical importance to the city and its people. Attending NECA 2014 Chicago will give you the opportunity to see some of the places that make up this unique, foodie friendly city. The next few blog posts highlight a few of these local gems. Get the most out of your NECA 2014 Chicago experience and add these local hot spots to your travel plans! First up – Wrigley Field. Baseball is America’s favorite pastime and Wrigley Field, home of the Chicago Cubs and highest-ranked building in Chicago, is a national treasure. 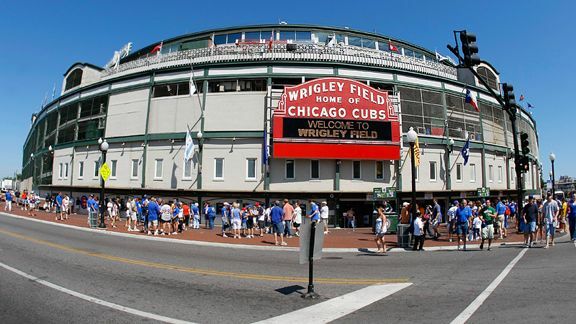 Recently celebrating it’s 100th anniversary, Wrigley Field is the last Federal League ballpark standing and was built in 1914 by Charles Weeghman, the park’s original namesake and owner the home-standing Chi-Feds of the Federal League. In 2007 the American Institute of Architects ranked Wrigley #31 in the America’s Favorite Architecture top 150 buildings — ahead of such iconic buildings as Carnegie Hall and the National Gallery of Art. 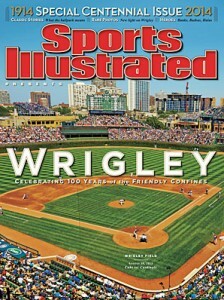 In fact, Wrigley was the only still-standing sports venue listed among the top 100. 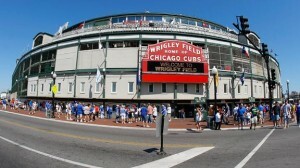 Want to learn more about the Wrigley experience? The 2014 NECA Convention & Trade Show is taking over the Windy City this year, and there’s a lot to look forward to. Chicago has long been the industrial hub of the Midwest making it the perfect place for the nations #1 ranked electrical construction trade show, and the only place you’ll find exclusive education opportunities designed to help you stay ahead of the curve in today’s market. Don’t miss your opportunity to experience one of the most exciting events our industry has to offer, in a city known for it’s big-time skyscrapers and world restaurants, you’ll find big-time education, networking and entertainment opportunities here at NECA 2014 Chicago. If you’re an electrical contractor, trade professional, or work within the electrical construction industry, this is your must-attend event of the year. This year’s convention is taking place at the world famous convention center, McCormick Place West. Additionally, the opening reception will be held in one of the most iconic buildings in the city, the Field Museum of Natural History and the closing celebration will be held the world famous House of Blues. We’re also happy to announce that the 2014 NECA Show will extend it’s hours on Tuesday, September 30, from 9:00 am to 1:00 pm, and will now be followed by our Closing General Session at 1:15 pm. This allows time for everyone to attend the the grand prize drawing, announced during the NECA Show. Be sure to join us before the closing general session, as we award $10,000 to one lucky attendee – it could be you! Be sure to take advantage of full registration when planning out your NECA 2014 experience, by doing so, you’ll receive an all-access pass to hundreds of educational opportunities, 4 general sessions plus a unique lifestyle session, can’t-miss opening and closing receptions, trade show passes and much more. Only a limited number of a la carte tickets for these events will be available for purchase on-site and they will be distributed first-come, first-serve based on availability.